Bryn Morfa Restaurant a surprisingly good Restaurant found on a Caravan park in Bryn Morfa. A truly inspirational Chef offers a range well prepared and presented dishes; that almost tempts the most averse Caravan lover to take up residence, in order to take advantage of these culinary delights. 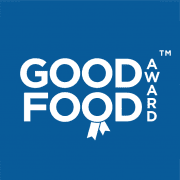 Bryn Morfa Restaurant have now been awarded the prestigious 2019 Good Food Award. Over the last twelve months we have evaluated customer feedback and these premises have demonstrated exceptional levels of food quality, service and value when compared to our industry benchmarks in their category. In recognition of this achievement they have been duly awarded the 2019 Good Food Award | Good Food Award Winners in 2014, 2015, 2016 & 2019.